Purpose: This paper describes the use of simulation and case-study research to assess flexibility gains induced by the adoption of three Lean Manufacturing practices. Design/methodology/approach: We gather useful material and information about the manufacturing process of a selected Small-Medium Enterprise by adopting a case-research approach. The Value Stream Mapping is the method used for visualizing flows of products and information along the production system. Starting from the current arrangement of the company, computer simulation is used to assess the benefits arising from Cellular Manufacturing, Just-in-Time Delivery by Suppliers, and Single Minute Exchange of Dies. Findings: To investigate the flexibility improvements coming from the introduction of Lean Manufacturing, we present a simulation model of the described company on which we performed our analysis. We quantify the flexibility of different configurations according to the new 5-step approach in order to segregate the contribution of different lean techniques. Originality/value: We extend the combined use of Case Research and Computer Simulation to the research on Manufacturing Flexibility within Small-Medium Enterprises. We enhance the knowledge on this under investigated context collecting quantitative field data. Moreover, building on the factorial Design of Experiment, we introduce a new 5-step method to appraise the cost benefit ratio of lean techniques for flexibility. 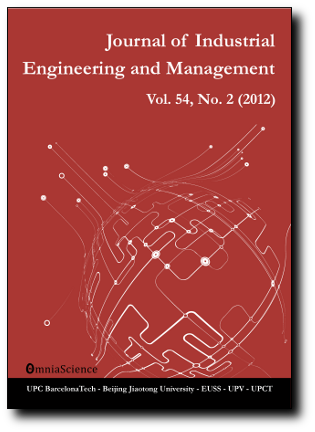 The managerial implication of this research is mostly related to the provision of a supporting method for the decision making process propaedeutic to Lean Manufacturing introduction.